I noticed Laurence King Publishers has been making art more accessible to the general public with some of the books they have published, this one included. The books I'm talking about are the This is artist monograph series. The book we have here is a 96-page hardcover authored by Susie Hodge. It answers commonly asked questions about the art world. For instance, the title itself is a question. There are many interesting questions like why paint, do artists copy each other, what's with all the fruit still life, do you have to be clever to look at art. The answers are presented in an easy to understand manner and it's not just enjoyable to read, it's also educational. The artworks featured are paintings from centuries ago with a selection of contemporary pieces. 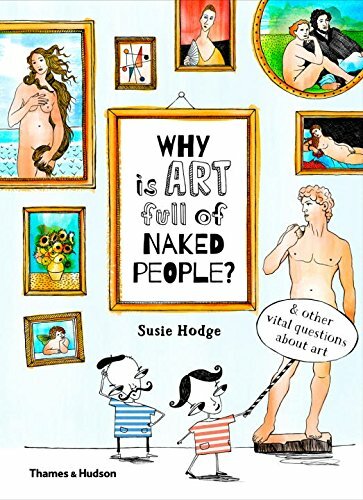 This book is a fun introduction to the art world and how artists think. It's a good read and worth the money. So you want explore further and study art pieces in detail, you can check out Color in Art and Art in Detail: 100 Masterpieces.